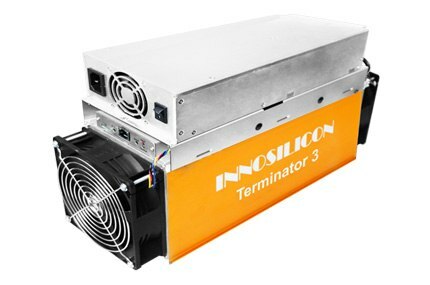 The Innosilicon Terminator 3 miner adopts innovative architecture to generate powerful SHA256 43TH/s (± 5%) hash rate with only 2100W (+/- 10%). 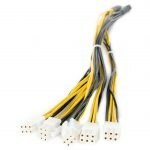 The 48.83W/TH performance pushes the limit and will give you the unbeatable advantage in mining for the foreseeable future. INNOSILICON T3 is designed to be the long-lasting product, with many improvement over its predecessors for longevity. It adopts state-of-the-art innovative dynamic frequency scaling technology and an extra cooling system for added efficiency and reliability.